From the time he began appreciating the great novels, Patrick Garry became intrigued with the imaginative artistry and insights of fiction. He wrote dozens of short stories before beginning his first novel, which took years to write. 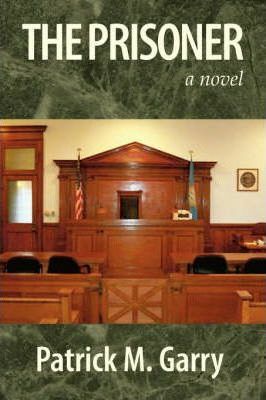 Since then, he has published seven more novels, and is currently working on a new novel about a disgraced lawyer who finds himself filling in at his sick fatherâ€™s diner while defending a case that will unexpectedly end up on the front pages of the national newspapers. 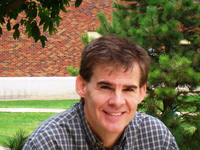 The host of a national book review radio program has called Patrick Garry the best undiscovered writer in America. But Patrick Garry is unique in another respect. He writes about themes and ideas that are often absent in the works of contemporary American novelists. 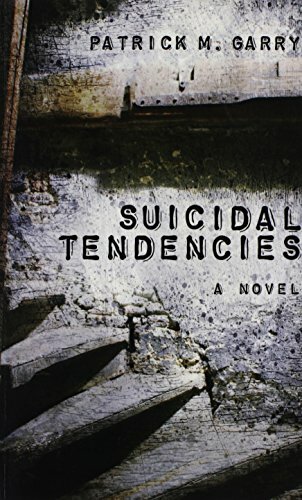 Garryâ€™s novels reaffirm life and the struggle of individuals to live their lives in ways that rise above mere materialism and the stranglehold of destructive temptations. 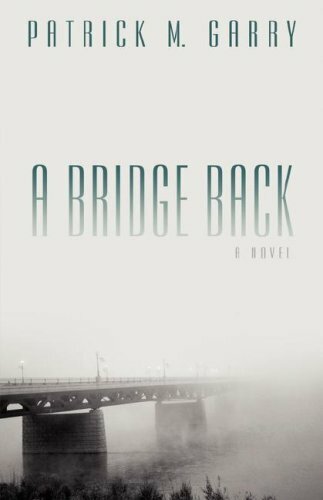 In A Bridge Back, he writes about characters who never quite lose their desire for redemption, no matter how much guilt they feel for the mistakes of the past. Indeed, as the main character in A Bridge Back discovers, the past, no matter how tragic, is not to be feared. Confronting the past can lead to a discovery of truth, which can then lead to the only true freedom. And once the enslavement to fear is ended, a rediscovery of love becomes possible. 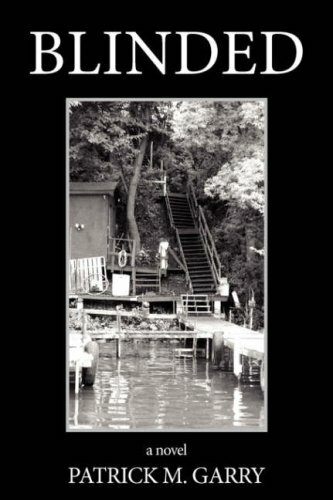 In A Bomb Shelter Romance, Garry portrays America as a place that continually changesâ€”and in doing so, continually offers new opportunities for individuals to find what they have always sought to find. This story, of a family ridiculed as it builds the last bomb shelter of the Cold War, reveals how humor and joy can triumph over even the most sudden and traumatic tragedies. The Oâ€™Neals are a quintessential American family, if for no other reason than their ability to laugh at their often unenviable state. Yet, as the narrator acknowledges, sometimes you find love when youâ€™re doing absolutely everything to discourage it. The characters populating In the Shadow of War are nobly (and sometimes even irrationally) trying to make the best of a tough situation. They have been brought together by the narratorâ€™s grandfather, an irrepressible dreamer who still hopes to turn the tiny little ghost town his ancestors once founded into a thriving community. According to the grandfather, the antidote to a past of disappointment is a more intense dream for the future. It is when he is surrounded by the dreams of his grandfather during the summer of his eighteenth year, when the narrator feels guilt ridden over the death of his mentally handicapped brother, that the narrator discovers the reality of love and the beauty of people who decide to let their dreams, rather than their disappointments, define them. One of the themes Garry explores in his novels is the theme of moral relativism and the modern propensity to let political positions trump moral integrity. In The Price of Guilt, the main character learns in a very harsh way that political attitudes, no matter how publicly exalted, are no substitute for individual morality. In fact, a superficial pursuit of redemption through a seemingly noble outside goal ultimately sends the narrator to prison. The value of core moral beliefs is also reflected in Suicidal Tendencies, where the main character, in his reflexive opposition to anything traditional, discards the very morality that offers the only hope for saving him. Political positions and trendy cultural attitudes not only mask the characterâ€™s downfall, but actually end up leading him there. After an inner city family is shot and killed by a young boy, the police commence a search for the person who supplied the gun to the boy. Milo Krantz is one of the first to be arrested. As a rent collector for a notorious slumlord, he is one of the most despised people in the neighborhood. Milo is no stranger to police stations and actually seems happy when he is arrested, knowing that his boss always gives him a raise whenever he gets harassed by the police. But later, when appearing in front of the judge, Milo does an abrupt about-face: he not only confesses to the crime, he refuses to say anything in his own defense. This sudden change in attitude baffles Gunther Mulvaney, the detective who arrested Milo. Suspicious that Milo is taking the fall for someone else, a stubborn Gunther continues his investigation. He begins digging into Milo's life and discovers a man quite different from the hated rent collector who is now the frequent subject of radio talk-shows. This investigation eventually intersects with one being conducted by a private investigator secretly hired to explore the mysterious circumstances surrounding the hospitalization five years earlier of the judge in Milo's case. But not until Gunther uncovers Milo's past connection with the judge does he begin to learn the real story behind Milo's confession.